தன் தந்தையின் மரணத்தின்போது ஐஸ்வர்யா கண் கலங்கியது, பல நெஞ்சங்களை உருக்கியது. Amitabh Bachchan expressed his deepest sympathy in Twitter. T 2468 - Death has but one end .. and words can not define it .. !! Amitabh Bachchan was seen with his son and daughter-in-law for the funeral. With husband Abhishek Bachchan, Aishwarya Rai appeared in the photos. At this time, he recorded his thoughts and regrets about death on social networks. The path to the ultimate goal of life .. the tragedy and crying of the middle of the traces .. the comfort and pain of the person in the world ..
Aishwarya expressed gratitude to many fans who shared the tragedy. Although Krishnaraj did not report to Roy's long-term illness, the CEO of the Lilavati hospital informed the media. Krishnaraj Rai is suffering from cancer of the lymphoma, causing organs in the body to lead to death. Dr. L. Shankaran, Chief Executive Officer at Lilawati Hospital in Mumbai, said, "Lymphoma has been diagnosed in the brain. A close friend said that Aishwarya had spent many sleepless nights watching her raid. 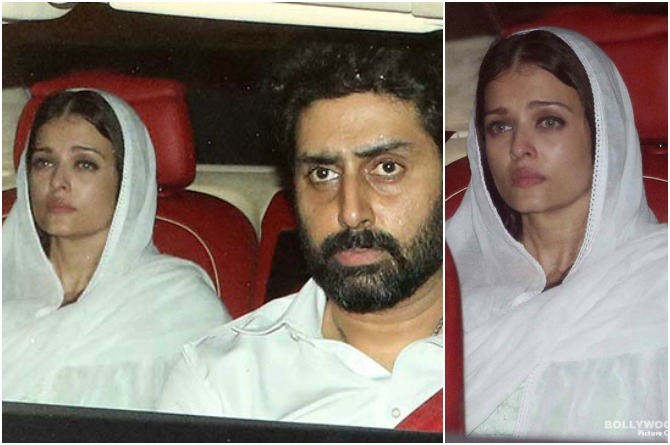 "It was a sad time for Aishwarya who spent the sleepy nights in the hospital." Loss of one's family is a great sorrow. At the same time, it is necessary to communicate to her five-year-old daughter. Be honest: The child should be able to understand from the age of five that there is an end to all the beginnings. So it's good to be honest with the child.It's good to talk about the other and that he will never return.Show your emotions.Don't think that this is a temporary situation. Consolation: Your child will need the same help as well as the need to listen to you and listen to them. Remember: It is not easy to say after someone dies, it's not easy.